There are many reasons for people to visit Buenos Aires. Some visit to experience the birthplace of tango, some go for the leather goods and some go for the shopping. 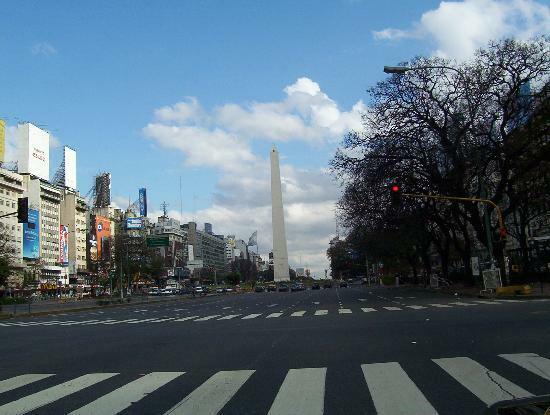 However, it isn’t until people arrive that they truly see the romance that Buenos Aires has to offer. Never worry again about being late for that business meeting. In Buenos Aires the taxi drivers will get you where you need to go in a flash, literally. You may break your neck in the process, but at least you won’t disappoint your boss by being late. Want to take dancing lessons but don’t want to pay for them or fight the crowd? Problem solved! The streets of this wondrous city offer you every opportunity you need to get your toe-tapping skills to their maximum level. Broken and uneven sidewalk combined with strategically placed doggy landmines create the optimal dance course for any beginner. If you’re looking for a long romantic dinner out with your significant other, then look no further. In Buenos Aires time is not of the essence when it comes to eating. Take as long as you like to look lovingly into your partner’s eyes because it’ll be at least two hours by the time you get through your meal. Keep in mind that this is at some of the faster places to eat. Window shopping is a great way to pass the time away when you don’t have anything to do, but sometimes just looking through the window isn’t enough. However, then there is the concern of taking up the workers’ time when you aren’t really interested in buying anything. Once again your problems are no more. Look around the shops all you want without concern. All the workers will do is stare you down to make sure you don’t steal anything. Other than that, expect no other annoyance from them and be able to browse at your leisure. If you tend to have a problem with keeping things you don’t need anymore then Buenos Aires is the place for you. All you have to do is bring some of that old stuff out with you and some nice resident will be happy to lift it off your person. What could be easier than that? The marvels of Buenos Aires are an endless adventure. Between the endless dance course, dinner conversations that are timeless and never having to worry about extra junk, it’s a wonder anyone ever leaves.